How do I install an additional DEVIreg Smart thermostat? You install additional thermostats by pressing the three lines in the upper left corner of the main screen in the DEVI Smart app. Here you choose [Settings] and [Add new room]. 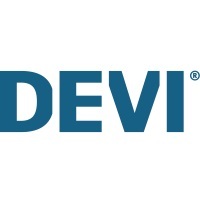 Can I control more than one DEVIreg Smart from the DEVI Smart App? What happens if the Wi-Fi is not working? How do I read the hexa code from my DEVIreg Touch (if I want to upgrade from DEVIreg Touch to DEVIreg Smart? How many in the household can use the App?